Things that make my heart sing: Visit me at Finders Keepers! 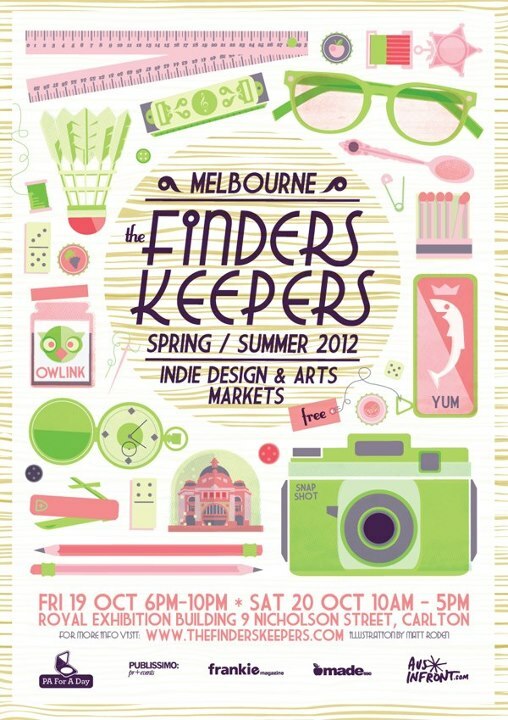 Visit me at Finders Keepers! I've been super busy of late working on a whole brand new range of button inspired products and a few Sundays ago I launched the whole range at a fabulous market up here in Ballarat called The Design Exchange. It has also been an exciting time as recently my work was featured on the cover of a book - Crafty Girls Talk and Jennifer Forest the author interviewed me about what I do and what inspires me. This joins the stories of a number of other crafty girls from around the world who craft for fun, for profit and for others. Each story is an exploration of that crafty girl's world, what they make and where they have taken their passion for creating. Today I have packed the car to the brim and am heading down to Melbourne to have a stall at the Spring/Summer Finders Keepers. This is truly one amazing market - held in the beautiful Royal Exhibition Buildings in Carlton - the line up of stallholders is awesome and if I get the chance I will attempt to do a spot of early Christmas shopping whilst I am there. I will be showcasing my new Cute as a Button range of products and also selling Crafty Girls Talk plus heaps of other handmade crafty goodness. The market starts runs from 6pm to 10pm tonight and tomorrow from 10am to 5pm so if you are in the neighbourhood - do pop in and say Hi!